Sweden is planning to declare the mouflon to be an invasive species. It would then be politically acceptable to eradicate the species. I find much of “conservation” sanctimonious, hypocritical and illogical. Here we go again! Yet another successful species is being demonised and attacked and oppressed just because it is successful. A species of freshwater mussel – the Quagga Mussel – is being targeted by so-called conservationists in Europe and the US as an “invasive” or “alien” species. Just because it is successful. Just because it has made the hazardous journey from its origins across hostile environments inhabited by unfriendly humans to establish itself in fresh-water bodies in the Great Lakes and now across Europe and the UK. It originates in the drainage of the River Dnieper in Ukraine into the Black Sea. It lives only in freshwater and can tolerate brackish water but is killed by the salt in the sea water. It is edible for humans but overeating can lead to the concentration of some toxins. But somehow it has managed to get across the Atlantic to the Great Lakes and to many canals and rivers in Europe. Now it has been found in the UK. Fresh water species from the ponto-Caspian region (from the Black, Caspian, and Azov seas) have been observed to be spreading westwards for many years. A new paper has chosen a suitably alarmist title to get massive coverage today from the UK newspapers and radio. The choice of alarmist vocabulary is itself off-putting. It suggests that the research is so unsound that it needs to be propped up by the language of the scandal-sheets! “Alien”, “invasive”, “meltdown”, “catastrophic” are some of the words chosen. And not just mussels. They are accompanied by predatory, omnivorous, “killer shrimps”. Scientists warn that the destructive mussel recently spotted in the UK, has probably been joined by additional undetected invaders, such as shrimp, that pose a threat to native wildlife. A foreign mussel recently found for the first time in the UK is likely to have already been joined undetected by at least four other alien species that threaten native shrimp and fish, scientists warn on Monday. 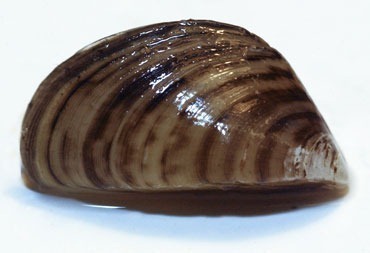 The Quagga mussel (Dreissena rostriformis bugensis), which was found in the river Wraysbury on 1 October and can cover boat hulls and smother native mussels to death, is just one of a group of freshwater species that has been spreading westward from the Ponto-Caspian region in south-east Europe in recent years and which risk causing a “meltdown” as they invade Britain. The south-east of England is most at risk from these invaders which can prey on native British freshwater species, substantially alter the ecology of waterways and wreak economic damage by blocking water pipes, according to a new study by a University of Cambridge team. …..
.. The study warns that the first wave of invaders, including the Quagga, are likely to act as a beachhead for further invaders from the Ponto-Caspian region, aiding their establishment. 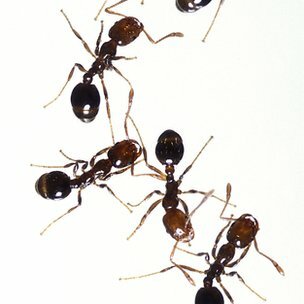 “Because there are so many of these organisms that have had a long evolutionary time to develop a cosy relationship with each other, what we’re finding is when they get over here they tend to facilitate each other,” said Aldridge. An increase in water clarity in Lake Michigan is actually cause for concern. The heightened clarity is due to quagga mussels, an invasive species. Gary Fahnsteil, a senior ecologist at the National Oceanic and Atmospheric Administration Great Lakes field station in Muskegon, Mich., was a part of a group of scientists who measured Lake Michigan’s water quality. Clear water is usually a welcome phenomenon; however, the 950 trillion quagga mussels are making Lake Michigan too clear to support aquatic life, especially for salmon and the other fish they consume. Fahnsteil and others consider quagga mussels to be the most detrimental of the 186 invasive species that occupy the Great Lakes. The mussels’ eating behavior wreaks havoc on the aquatic food chain at every level. In 2000, Great Lakes researchers discovered a phenomenon they called the “doughnut in the desert,” a massive, ring-shaped bloom of aquatic plants that helps sustain aquatic animals that stay in the lakes during the winter. The bloom appears in March and April. However, they also discovered that quagga mussels have taken a big bite out of the “doughnut.” As a result, the animals that rely on it face starvation in the winter. Furthermore, the fish that feed off of those species could starve as well. Well with the entire scientific and alarmist bastions against them it doesn’t look good for the Quagga mussel. They are now one of the oppressed species. But I am rooting for them. Having traveled from Ukraine across oceans of hostile salt water, they deserve to enjoy all their successes. Spain is preparing to rid its shores of foreign species of plants and animals that are considered a danger to the ecosystem says The Telegraph. Successful species which threaten weaker species but which are considered “foreign” are to be eliminated by human intervention – and all in the name of biodiversity! An exhaustive list of non-native species has been targeted for control or eradication by Spain’s Environment Ministry to protect the country’s own flora and fauna. The inventory of 168 “alien invaders” that were introduced accidentally or deliberately to the Iberian Peninsula and are now not welcome includes the American mink and raccoon, which found their way from commercial fur farms into Spain’s countryside where their population has boomed. Other species have been introduced intentionally but are deemed a threat to native varieties. 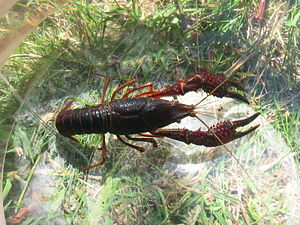 The Zebra Mussel and Red Swamp Crayfish have both been identified as causing serious harm to indigenous species and habitats and with causing “a negative impact on agricultural production”. 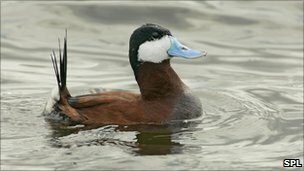 The Ruddy Duck, introduced to Europe as an ornamental species, is one of the worst culprits because of its aggressive courting behaviour and willingness to interbreed with endangered, native duck species. Besides the impact on biodiversity and agriculture some species can also cause problems for human health. The Asian Tiger mosquito originally native to areas of south-east Asia has in the last couple of decades invaded many countries because of increasing international travel and transport of goods. The insect is a vector for Chikungunya fever which can cause severe illness in humans. Invasive plants species, such as the Galenia pubescens and Water hyacinth are choking the sand dunes of southern Spain and clogging water courses. But not all foreign species are considered a threat. The draft proposal includes a measure that will exempt from extermination those species considered beneficial to the environment. 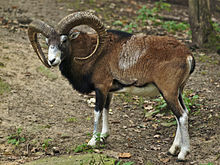 The Barbary Sheep, native to North Africa and introduced to a national park in Murcia, will be offered protection. Certain fish species, notably carp, pike and bass, will be restocked in the rivers Ebro and Tagus. Biodiversity be hanged ! Alien wildlife must be banned from Europe. The Canada Goose (Branta canadensis) was the worst culprit, having the biggest impact on both the environment and economy. Leading experts on invasive species are demanding Europe-wide legislation be put in place by next year to tackle the threat to native wildlife. The researchers want urgent action from the EU to protect Europe’s indigenous species from these “alien invaders”. The scientists are meeting at the Neobiota conference in Copenhagen. They are demanding Europe-wide legislation to be in place by next year to ensure the threat doesn’t worsen. Invasive species are defined as those that are introduced accidentally or deliberately into a place where they are not normally found. The Ruddy Duck is just one of more than 1,300 alien species living in Europe which threaten biodiversity. Scientists gathered at the conference are calling for urgent action by the European Union to implement laws similar to those that already exist in countries like New Zealand and Australia. Wolfgang Nentwig, from the Institute of Ecology and Evolution in Switzerland has just published one of the first detailed studies of the impact of alien birds in Europe. 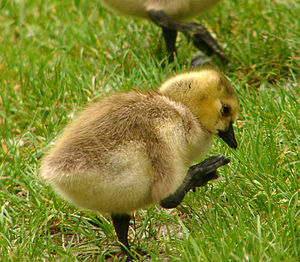 The Canada Goose (Branta canadensis) was the worst culprit, having the biggest impact on both the environment and economy. There is something somewhat paradoxical in banning the adventurous and entrepreneurial wild life to protect the diversity of those that are failing ! The Catholic church is more open minded than EU scientists. Pope Benedict XVI’s astronomer has said that the Catholic Church welcomes aliens. Highly evolved extra terrestrial lifeforms may be living in space and would be welcomed into the church – “no matter how many tentacles”, the Pope’s astronomer has said.